Mezco Toyz has opened up pre-orders for their DC Comics – Aquaman One:12 Collective Figure. The 1/12 scale figure includes three swap out portraits, multiple interchangeable hands, the Trident of Atlantis, a crown, and a display stand. It’s priced at $80 and is set for release between October and December. Pre-order at the link below, and see the new photos after the jump. DC Comics – Aquaman One:12 Collective Figure King of Atlantis. Ruler of Earth’s oceans. Founding member of the Justice League. The One:12 Collective Aquaman comes outfitted in a scaled soft armor and finned Atlantean wet-suit, inspired &#187; Continue Reading. 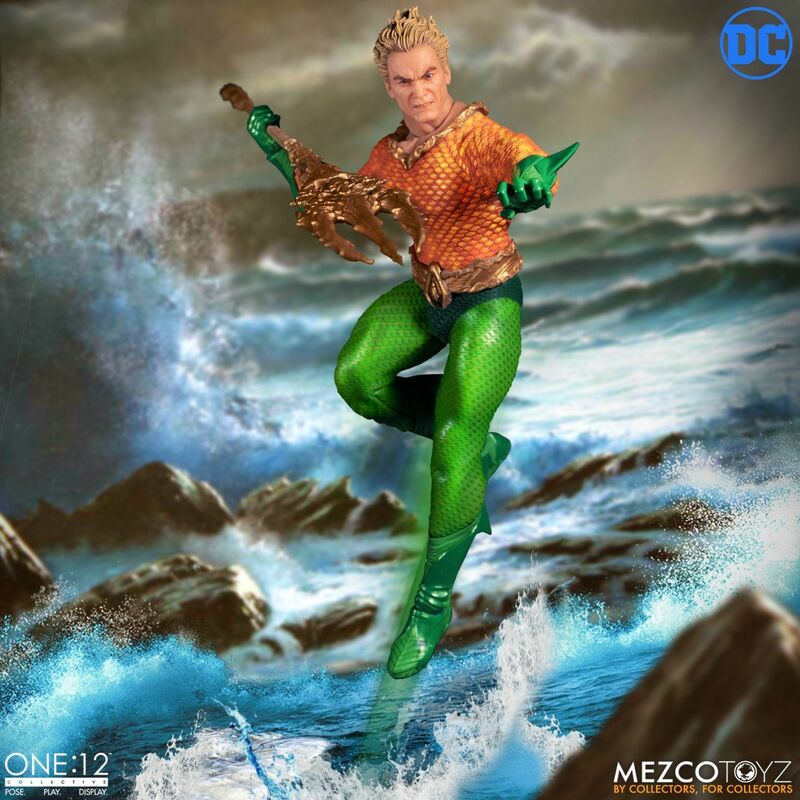 The post DC Comics – Aquaman One:12 Collective Figure by Mezco Toyz appeared first on The Toyark - News.